Our jumpers and jackets collection here includes a large range of snug and warm classics such as the cosy cotton or acrylic ponchos. Also be sure to check out the selection of super soft, alpaca mix Peruvian items and the various tones of our beautiful heavy knit Nepalese woollens. 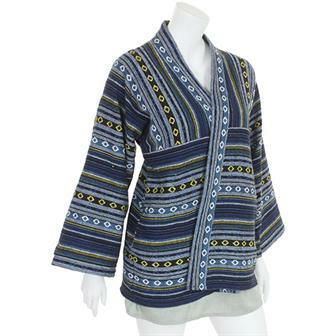 Stylish jacket made with distinctive woven cotton pattern from Thailand these open jackets have an interesting cut with flared sleeves and are great to finish an outfit. 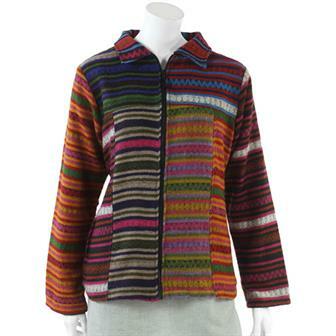 Soft and warm cardigan made with a wonderful brushed mix of Alpaca wool and acrylic. 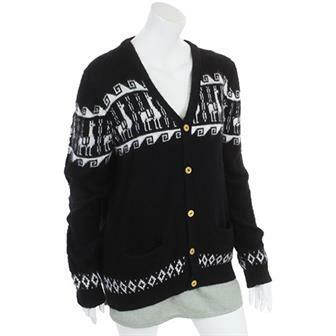 These super cardigans from Peru feature an eye-catching design of llamas running around the garment. 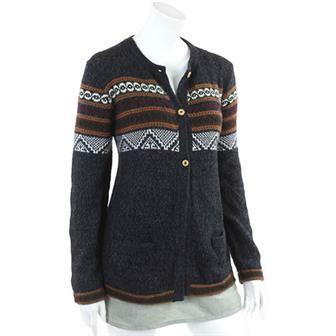 Each cardigan has two front pockets and is finished with wooden buttons. 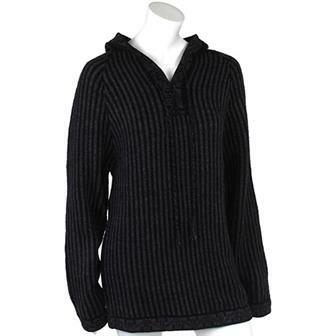 Wonderfully soft and comfortable jumper made from a Alpaca wool and acrylic mix. 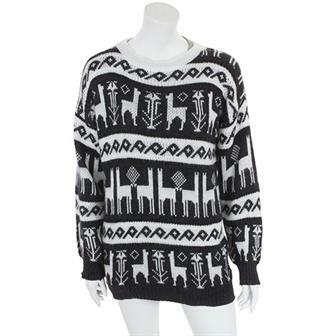 Made in Peru these jumpers feature a pattern of llamas across the bust. 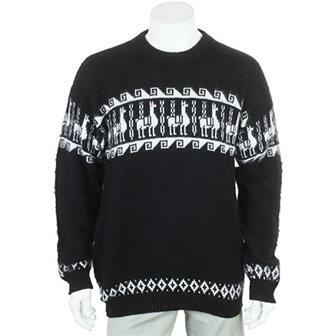 Dark coloured Peruvian jumper made from a soft and durable alpaca and acrylic mix material. 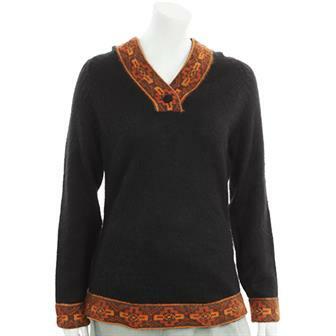 This jumper is finished with a lovely bright trim around the sleeves, collar and hem. 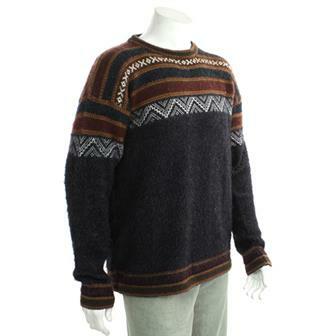 These sweaters from Peru are hand made with a special blend of soft acrylic and warm alpaca wool. Each one is knitted with an elegant geometric pattern in subtle earthy tones. 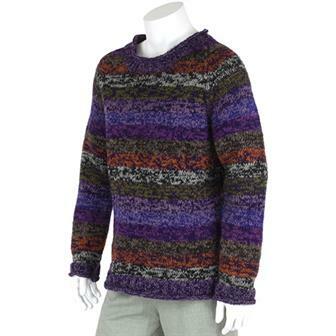 Classic, hand knit, chunky wool jumper with roll neck in a vivid rainbow pattern from Nepal made from 100% pure New Zealand sheep's wool. 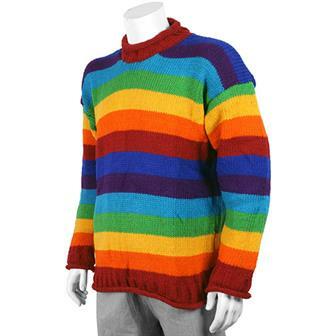 A proper bright, warm jumper to liven up the dullest, coldest winter. 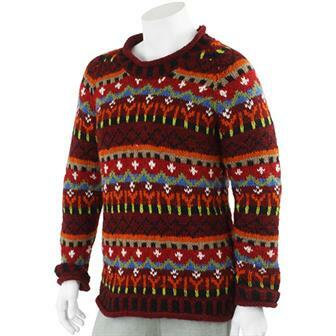 Wonderfully warm and eyecatchingly patterned, these fantastic knitted jumpers have a festive winter feel and are perfect for fighting the cold weather blues. This beautiful, warm jumper has been knitted with bands of speckled colours in an attractive striped pattern creating a subtly striking and wonderfully warm item. 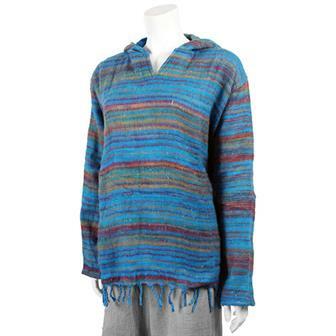 Soft and warm hooded top with a kangaroo pocket, knitted trim patterning and a drawstring top. Made from 60% super soft acrylic and 40% alpaca wool mix. Available in two subtle shades of grey. 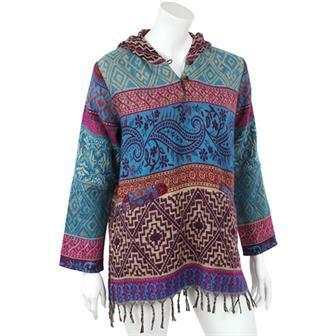 Soft and warm hooded top with a kangaroo pocket, knitted trim patterning and a drawstring top. Made from a super soft acrylic and alpaca wool mix. Available in darker grey stripe only. Classic hippie, boho, festival wear. The supremely soft unisex tops are made from brushed acrylic and come complete with fringes, generous hoods and pockets. These tops are made using the same material that is used for snuggle blankets, it's like wearing a cuddle! All colours and patterns will vary. These wonderfully patterned Garam snuggle tops combine paisley-esque designs with powerfully bold geometric lines to create a warm and colourful garment, perfect for cold winter days or those chilly festival nights. Made from a mixture of different brushed acrylic patterns, these collared zip up jackets are both vivid in colour and wonderfully warm. Chunky and warm padded jacket made with patches of different up-cycled off cuts from the Balinese textile industry. Each one of these jackets is different because of the fabric used. 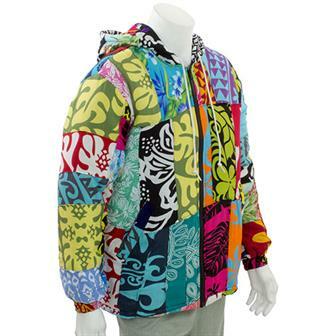 Features a generous hood, chunky zip and snugly pockets. 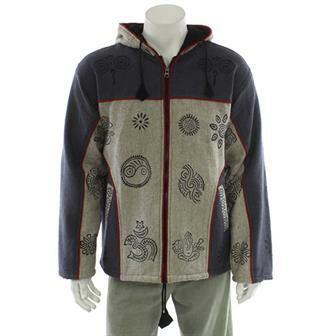 Wonderful warm jacket made from heavy cotton with fleece lining and hood, ideal for chilly evenings. 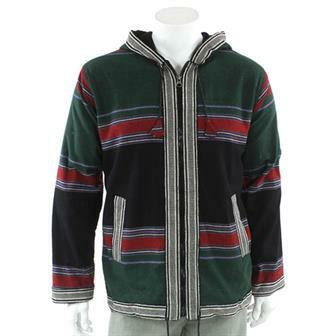 Made with panels of thick cotton in grey and steel blue with red trim and adorned with block printed symbols, the jacket has a generous hood and ample front pockets for keeping your digits warm. 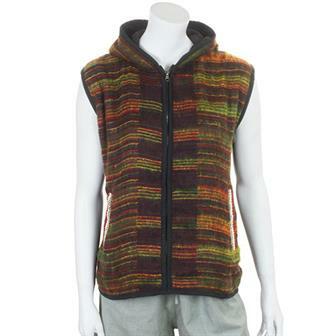 These wonderfully warm jackets are made using traditional Nepalese Shyama material on the outside and are each lined inside with soft and comfortable acrylic material.